e-MDS enables you to produce NHS reports and centralise outcome monitoring of the Service Users under your care. It provides you with real-time data on occupancy levels. e-MDS has been specifically developed with the independent care sector in mind. It leverages tried and tested web technologies and the latest intuitive data entry models. e-MDS is an affordable solution for the independent sector, requires no IT-investment, is infinitely scalable and grows with your organisation. Do you need to provide NHS Commissioners or the CQC with reports across all of your services? Are you required to submit data sets like the MHSDS, NHS England Reports or HoNoS scores and other outcome measure data? 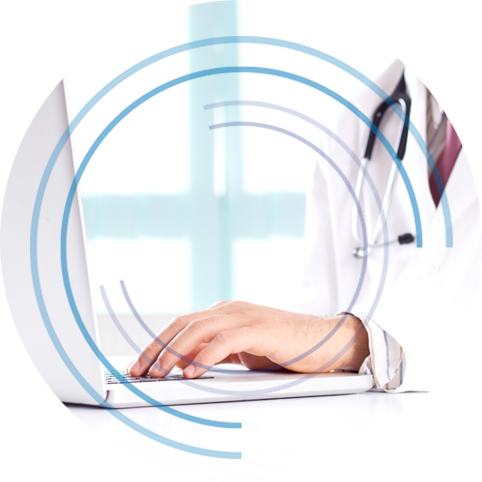 e-MDS automatically populates NHS reports and templates on the push of button. e-MDS runs data quality assessments reports across your data, enabling you to remove errors and omissions prior to submission. e-MDS is a web-based ‘Software as a Service’ (SaaS) provision. This means that you do not need to download upgrades or worry about back-ups. e-MDS securely looks after your data and always ensures that the NHS output templates are kept up to date and compliant with the latest requirements. Do you need to get an overview of incidents, accidents and complaints across all of your services? e-MDS does this simply and effectively. It issues alerts to pre-determined users on incidents across all your units, thus enabling compliance with your internal review processes and external reporting obligations. 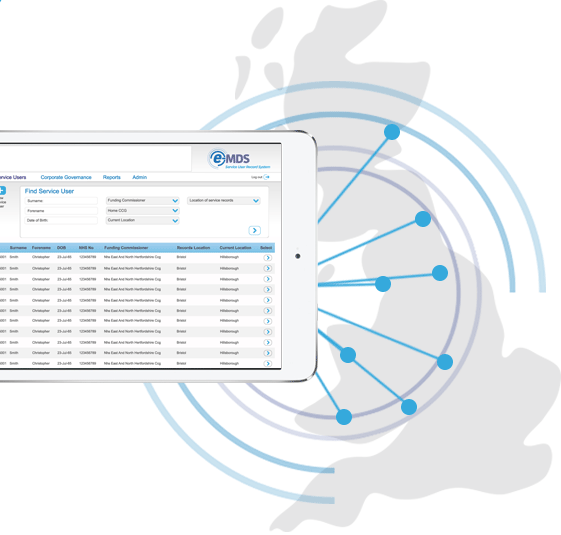 e-MDS produces centralised reports filtered by service type, unit, ward and even Service User. This allows the analysis of trends in incidents and accidents and focuses training of staff. It produces the basis for improvement plans and provides the evidence for lessons learned. Do you want to create transparency and control across your units? e-MDS will immediately add value and produces out-of-the box ‘service user’ and ‘unit specific’ data and KPIs (e.g. occupancy rates, outcome measure trends and data quality). e-MDS is highly configurable and flexible and Customers can determine their own specific entry fields and preferred KPIs. Some of the largest (and smallest) independent mental health care providers have trusted e-MDS to be their platform of choice to manage their service user, unit and staff related data. e-MDS has been used successfully used for over 7 years and now looks after more than 10,000 service user records across 70 inpatient services. Ever since we have used e-MDS, it takes us less than 5 minutes to submit the MHLDDS. Furthermore Solstice helps us to interpret any of the quality reports coming back from the HSCIC. As a result all our Service User data is accurate and up to date, whilst we meet our reporting obligations with the minimum amount of effort. We are a rapidly growing business and needed a Service User record and Business Intelligence system that is flexible and can grow at our pace. With e-MDS we have exactly found that. New acquisitions can immediately be integrated using our standard templates and are given system access overnight. From the first day, the management can monitor data quality and compliance across the entire organisation. We have now used e-MDS without any modifications for over 4 years and have never had any problems. The great thing is that Solstice often contacts us to inform us of new reporting requirements and to advise us that the system can already produce the report on the push of a button. One less headache for us. MH Care Provider – North-East.